Golden brown (Brownie) Sire Golden Master who is by Master Imp. A super smart mare 16hh 5 years old. 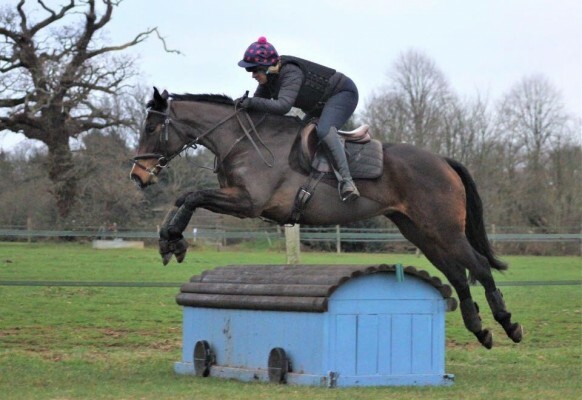 Brave and bold happily jumping around 90cm, lovely on the flat ready to start her competitive career in any sphere, Eventing, Showing, Dressage. Brownie is so easy to do. She has a very willing calm attitude, would make a great amateurs horse, Pony club, grass roots eventing. Ideal mother daughter share. Good to hack alone and in company. 100% to shoe, box, catch, clip etc.